We can’t all afford unbelievably expensive fashion clothing, but a lot more people can afford expensive fashion accessories. Believable or not, good quality accessories go a long way to making you look as if you are dressing in an upmarket and expensive manner – which is very important to some people. Shoes, hats, jewelry, watches … any really beautiful (yes and expensive) accessory is going to do the trick. With this in mind, we set out to find some of the most unbelievably expensive fashion accessories ever. Just don’t eat your heart out too much, because often the celebs simply hire or “borrow” their fashion accessories without even considering investing in them. It could be said to be the ultimate one-night stand. If you want to really show off the most unbelievably expensive fashion accessories, what better place to do it than at the Oscars? So Gwyneth Paltrow is an unforgettable actress, but those in the know are more likely to remember her for her appearance at the 2012 Oscars when she wore a white Tom Ford gown and a very simple but amazing Anna Hu Haute Joaillerie cuff bracelet, considered to be the absolutely perfect (and yes incredibly expensive) fashion accessory. This understated number was studded with 2,368 diamonds and the bracelet was reported to be worth around $1 million. Even though the world’s richest people make up a really tiny percentage of people in the world, they spend hundreds of billions of dollars on the most expensive clothing brands every year. In fact the so-called “luxury market” has been valued at more than $275 billion. But which clothing brands get their support? What do they buy? Generally the most expensive clothing brands are seen being worn by celebs, from fashion models to movie stars and even royalty. Here are nine of the most expensive brands of clothing currently in favor, some of which have been at the forefront of clothing fashion for decades and even longer. While not all the most expensive clothing brands have been around for centuries, the company founded by Thomas Burberry has. He founded his clothing company in 1891, though the first shop was only opened in 1891. Today there are a number of labels within the brand, including Burberry Brit, Burberry London, and Burberry Prorsum. Some of the signature items include plaids and khaki trench coats (see above) – and then there was a famous peacock feather coat that sold for about $35,000! Net income for the company in 2014 was more than $323 million, showing that popularity hasn’t waned. Best earning racing drivers – particularly Formula 1 racing drivers – have one of the most glamorous jobs in the world. Sure it’s dangerous, but they command respect, get beautiful girls flocking to watch them, and they make top dollars. That said, some racing drivers earn a lot more than others. Every year the annual list of Formula 1 salaries is published by Business Book and circulated for all to see. The information for 2014 shows that Fernando Alonso, while still at the top, now shares the privilege of top earner with his team-mate, Kimi Raikkonen, and with Sebastian Vettel of Red Bull Racing. Lewis Hamilton, though earning the same as the previous year, has dropped to fourth place. A member of the Lotus Formula 1 team, Romain Grosjean earned €3 million in 2014, as did Pastor Maldonado (#10) and Sergio Perez (#9). That’s the equivalent of $3.36 million. Lotus has clearly identified that Grosjean is worth more than they were previously paying him; in 2013 he took home only €1 million. 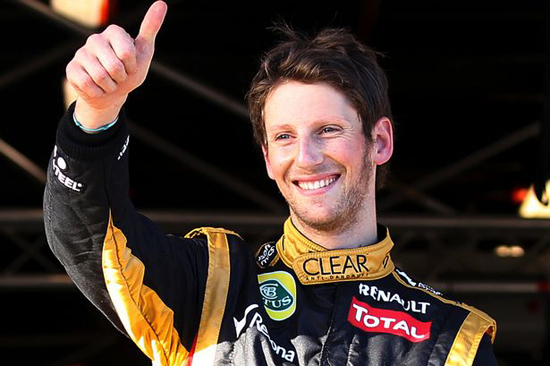 Born in France in 1986, Grosjean has been making a name for himself since he joined the Renault Young Rider Program in 2005. His first professional race was the 2009 European Grand Prix. Professional athletes can earn a huge amount of money, and in 2014, according to Forbes, the top ten highest earners took home more than $580 million between them. Some of this was in the form of salaries, some in the form of winnings, and some athletes received part of their income in the form of endorsements. This top ten list is based on total pay for 2014. All of the top earners taking home the best salaries were men, and six sports were represented: boxing, soccer, basketball, golf, tennis and American football. Number one on our list is boxer Floyd Mayweather who outmaneuvered Manny Pacquiao on May 2, 2015 in Las Vegas, in what has been heralded as the most lucrative boxing match ever. After winning the purse of $300 million, he stated he would have just one more fight before retiring. Even so, with that one winning package, he’ll remain at the top of the highest paid athletes list for 2015 too. The highest paid American footballer in 2014, Matt Ryan took home $43.8 million, with a tiny proportion of this (just $1.8 million) in endorsements. 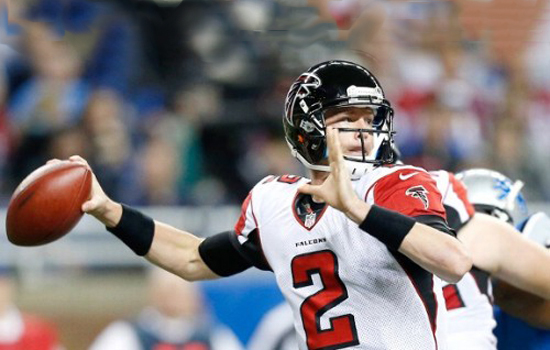 Born in Pennsylvania in 1985, Ryan plays quarterback for the Atlanta Falcons in the National Football League (NFL). He began his professional football career in the 2008 season, showing what he was made of. That October he was named NFC Rookie of the Month. Ryan is also an avid golfer, though that is not where he earns his money. These are hugely strong and powerful mechanical beasts, called muscle cars (or prior to this, super cars) that have emerged relatively recently, since the 1970s. Traditionally, all are, of course, made-in-America, and they are used in what is described as “high-performance driving.” What they have in common is speed and power, and the raw metal power that allows their drivers to succeed. They generally have two doors, a rear wheel drive, and they are affordable. Bring on the competition, but just remember it changes all the time. Several of these most expensive muscle cars are Chevies, and just for the record, these prices were all achieved on auction. 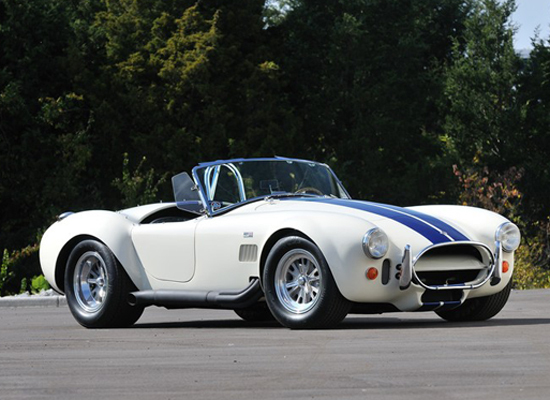 Shelby Cobra 427 Roadsters are rare cars, but some are more rare than others. Originally built in England in 1966, this one is exceptional, a fact proven by the inscription on the “door” of the glovebox by the maker: “One of the rarest CSX3301 Carroll Shelby.” Bought new by a Frenchman, Mr Franck from Paris, it was sold in 1977 and then again in 1979. In 2001, with 6,755 miles (10,872 km) on the clock, it was meticulously restored by a New York company. In January 2013 it was sold at a Mecum Auction sale for $779,100. Swimming pools are used to sell properties, from private homes to huge estates and expensive holiday resorts. Somehow, a gorgeous crystal clear pool with sparkling water has an appeal that is difficult to beat. But some swimming pools are more luxurious than others; not necessarily bigger or better, but splendidly opulent and lavish. Whether located next to the ocean, adjacent to a rainforest, or in an underground cave, the world’s most luxurious swimming pools are all absolutely awesome. The 12 luxurious swimming pools featured here are all utterly sublime, and best of all, they are open to the public, usually as paying guests. 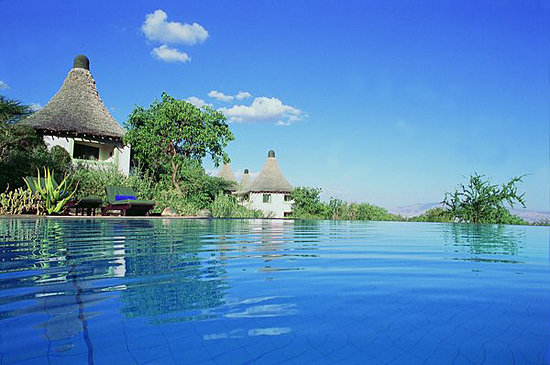 Hardly your normal idea of “out of Africa,” this huge swimming pool is an unusual centerpiece for a safari lodge in Tanzania. Surrounded by villas (in the form of African rondavels – roughly translated as round houses) and suites, a poolside bar and other facilities, it employs the usual tricks of infinity pools, drawing your eye to a vanishing horizon beyond. The views are magical, as is the experience of swimming in this weirdly wonderful African pool that, unlike natural pools, does not feature wild animals, hippo or crocodiles. For centuries man has been creating gardens. Some of the earliest were dedicated to the gods of Babylonia, Egypt, Greece and Persia, and many were developed for growing fruit and vegetables, for survival. Wealthy kings and queens created gardens filled with colorful, aromatic flowers and moving water, producing places of great beauty. Many rich and famous people today continue to develop beautiful gardens for their own pleasure. Happily, some of the most luxurious gardens around the world are open to the public. Lyrically luxurious, this unusual garden has been designed around science and mathematics. 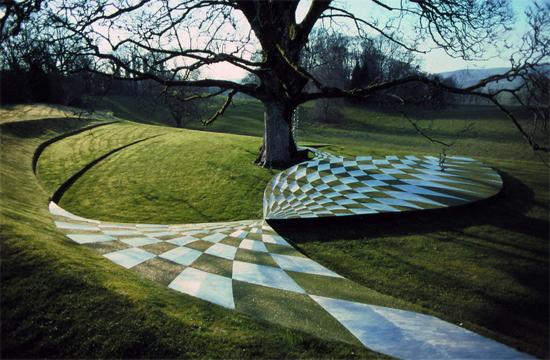 Developed by two landscape architects, Maggie and Charles Jencks, on their own property in Dumfries in 1989, it is quite unlike any other garden in the world. All the features, including flower gardens, trees, and ornamental lakes have been balanced using not just the symmetry often employed by garden designers, but geometry and numbers as well. In fact plants are secondary here, with geometric figures, chess board alleys and weird and wonderful steel structures taking center stage. The Garden of Cosmic Speculation is only open to the public one day a year. Limousines are luxury vehicles with a lengthened wheelbase that allows more people than usual to use the vehicle. Also called stretch limos, they also often incorporate a range of features from fridges to television screens. Generally limos are owned either by very wealthy celebrities, governments (to transport country’s leaders and important visitors), and hire companies that rent them out for special occasions. Here are 11 of the biggest limos ever produced. 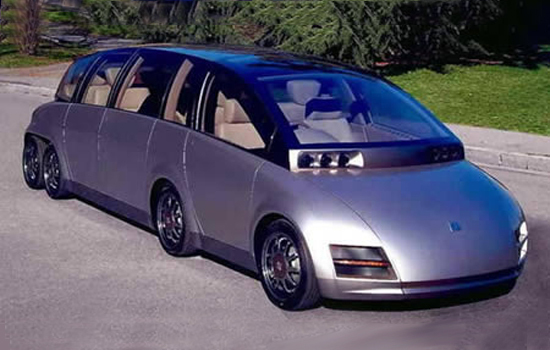 Essentially a refinement of an earlier Eliica (Electric Lithium-Ion Car) designed by a team at Keio University in Tokyo, this Keio Advanced Zero-emission (KAZ) vehicle, could be the limo of the future. It runs on a battery rather than using fossil fuels to operate, and the prototype (which isn’t a limo) can accelerate to 62 mph (100 km/h) in just a few seconds, and can reach a top speed of 193.3 km/h. 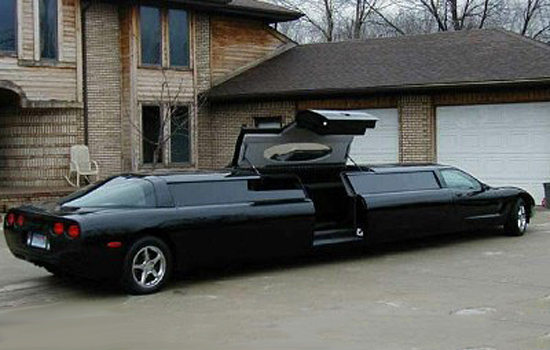 The limo version is 22-foot-long (6.7 m) and has eight wheels. It is also intended for just eight people. This limo took five years to build and it cost a whopping US$4 million. Not very common, the longest known Corvette limos are about 23 feet (seven meters) long. Big Limos built one that was about this size, and it took eight months to complete. It has many of the “regular” features of other limos, including a disco floor and bar, fireplace, all the good stuff to play brilliant music, and four flat-screen television sets. But there probably aren’t that many extras because it holds ten passengers, which is a lot more than some much bigger limos are designed to accommodate. Whether you are interested in team sports or individual sports, there are sporting events that pay out immense amounts of prize money. While impossible to compare the prizes one-on-one, this top 10 list gives a good spread of the biggest prizes in sport history handed out in various parts of the world. Horse racing, golf and tennis are individual sports that attract winning prizes, while soccer, football, baseball and cricket top the team sport prizes… with soccer taking the clear lead. 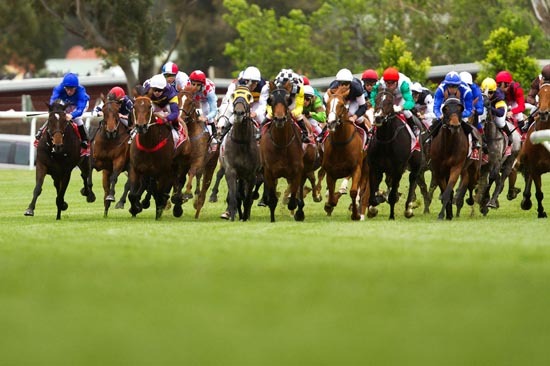 Australia’s premier horse race, the Melbourne Cup is also one of the richest in the world, paying out prize money in excess of A$6,400,000 (the equivalent of nearly US$5 million at the current rate of exchange). The prize money is paid out in a set ratio, with 85 percent going to the owner of the horse, 10 percent to the trainer, and the final five percent to the jockey who rode the horse to victory. In addition to prizes, there are valuable floating trophies worth more than $125,000. The race was first run in 1985, and the prize money at that time was a mere $1 million.